We provide a fully certified and professional service covering all aspects of central heating and boiler work in Oxted and the surrounding areas. Whether it’s a service, breakdown, or new heating system installation, we’re here to help. 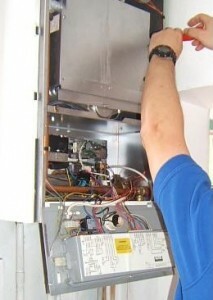 Gas & Oil Boilers: boiler installations, repairs and servicing of all makes and models. Gas Safe Landlord certificates: as a landlord renting out part or all of a property, you are legally required to have all gas appliances and pipework in the property checked annually and be able to provide a gas safety certificate as proof of compliance. As members of the Gas Safe Register, we are qualified to provide this for you. We inspect the boiler, pipework and any gas appliances your property. If we find your gas system to be unsafe or needs repairing we will advise you before we commence any work. If the gas system is safe we will issue a Gas Safety Certificate. Power Flushing: a quick and affordable way to drastically increase your existing central heating system’s efficiency. With our Kamco Power Flushing system we can cleanse your heating system of black iron oxide sludge deposits, get it working at full effieciency again and protect it against future damage. Speed up heating times, reduce boiler noise, get hotter radiators and save on heating bills – all done in under a day. More powerful showers and fast running taps. Quicker and more efficient at heating water. No need for booster or shower pumps. Updated heating controls: increase efficiency and save fuel, money and the environment.